The timing of the universe always amazes me. I’ve been the self-monikered ‘Craigslist Queen’ for the past month. 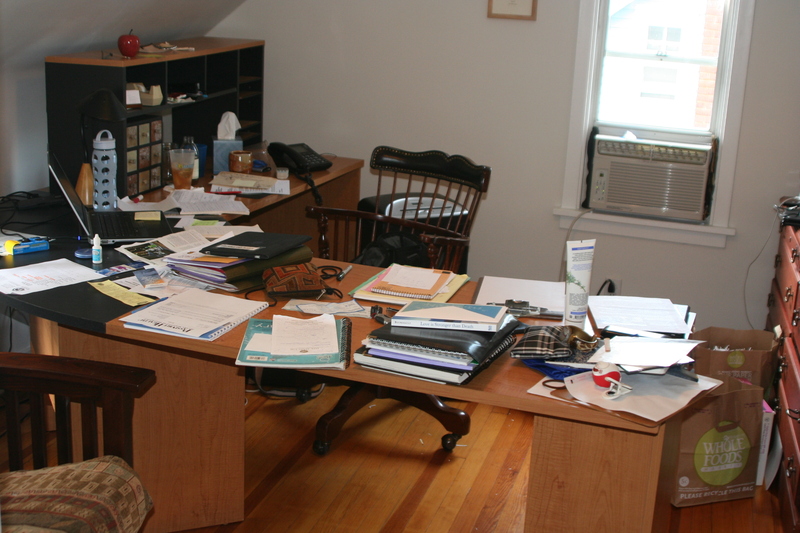 I’ve literally posed about 45 items on Craigslist – one of which is my beloved desk. It’s not a fancy or expensive desk, but it’s huge. I like to spread out when I work on my many projects (‘kind of like a fungus’ as Matt says). We decided it just wasn’t worth it to store my desk for a year and that it was better to get rid of it (we only paid about $150 for it). Disappointed, I posted it for $75. A few inquiries but, again, the thing is huge. It requires at least 9 square feet of space. (I never said I was neat). As the days ticked toward M-Day (Moving Day), I gradually began lowering the price to $50. 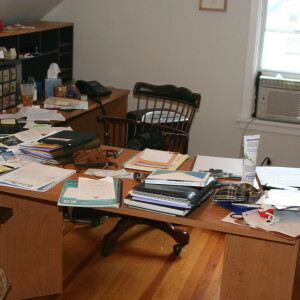 Five days before the movers arrived, ‘James’ emailed me saying that he was the youth pastor of a nascent church, that the desk would be perfect, and was there any way I would accept less because they don’t have much money. Really? I thought $50 was already way too low for my beloved desk. I said I would consider it if there were no other takers and said that he could pray there were no other takers and that maybe he could pray our trip goes well at the same time. He responded back and said that his entire congregation (all five of them?) would pray for us, regardless of the desk outcome. One day before the movers arrived I started getting antsy about all of the items that still had to be moved out of the house because they wouldn’t fit in storage. I emailed James to see if he still wanted the desk. No reply. The movers came and went today and the only large piece of furniture left is my desk. Another potential buyer who had wanted to see it earlier emailed about seeing it tonight. Immediately after I gave her our address, a neighbor called and also requested to see it. The caller came to see it and then needed to go home and measure her space to see if it would fit. In the meantime, the neighbor came to see it and decided it was too big. A while later, the caller said it also was too big for her space. So, … two strikes out on my wonderful desk. Within an hour, what happens? I get an email, from James of course, asking if it’s still available! He never received my earlier message and clearly no one else wanted my desk. I felt guilty that I was not initially more generous and ended up selling him the desk for $25 and threw in a $150 office chair for free. We’re going to cross the Atlantic – we need all the positive vibes we can get! This entry was posted in Packing Up on August 11, 2013 by Diane.